Former FBI director James Comey speaks during a Senate Intelligence Committee hearing on Capitol Hill, Thursday, June 8, 2017, in Washington. He has a new book deal with Flatiron Books. 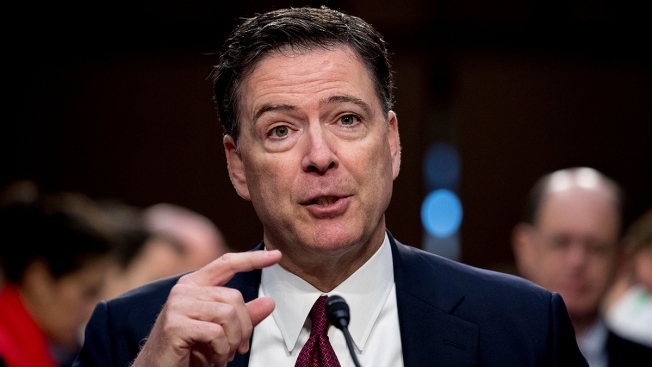 Flatiron Books told The Associated Press on Wednesday that Comey is writing a book about leadership and decision making that will draw upon his career in government. Comey will write about experiences that made him the FBI's best-known and most controversial FBI head in recent times, from his handling of the bureau's probe into Hillary Clinton's private email server to allegations of ties between Russia and Donald Trump's presidential campaign. Trump fired Comey in May and soon after told NBC News that he was angered by the FBI's investigation into "this Russia thing with Trump and Russia," which he called a fake story. Comey has since testified before Congress that Trump asked him to end an investigation into former National Security Adviser Michael T. Flynn and kept memos about his meetings with the president. 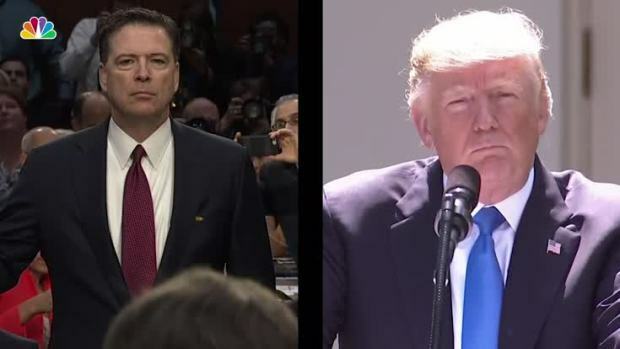 Take a look at the comments former FBI Director James Comey made under oath at a Senate Intelligence hearing on June 8 and then the responses by President Donald Trump at a news conference on June 9.